The secrets held within the treasure chests of Mount Everest are legendary. Several starry eyed climbers and adventurers often trying their best at breaking into them, attempting to unfold the secrets, mysteries and legends she holds. And yet, for centuries she kept them at bay, expanding her flanks yearly at a rate of 5mm, burying her secrets even deeper and deeper into the depths of her snowy womb. As it goes though, will the humans desire for conquest never seize, and have several attempted conquering Mount Everest. The loss of lives is legendary. The tales of bodies disappearing under snow, forever lost, not dampening the spirit of those flocking to Mount Everest yearly. Every climber, experienced or not, has dreamt of conquering her deep-set valleys and towering peaks. The ultimate goal to finally stand atop the highest mountain on earth, gazing down at the rest of the world. The mountain has two approaches, one from the southeast side in Nepal; the other from its northern side in Tibet. As is with human desire, were several unsuccessful attempts made to climb this monster for years on end. Although, patience, training and endurance payed off for Sir Edmond Hillary and Serpa Tenzing Norgay on 29 May 1953, who is today credited for the first official, successful climb. Since then, Mount Everest has remained an enigma to the many who attempt to climb her each year. Hundreds of lives claimed already in the process. Although it is snow-bound all year round, the months of April and May is the best time to visit Mount Everest. Location: Mahalangur Himal section of the Himalayas. Coordinates: 27°59' North latitude, 86°55' East longitude. There are almost no flora or fauna found above 20,000 feet on Mount Everest due to a perennial layer of snow lacking oxygen, not conducive to supporting any form of life. 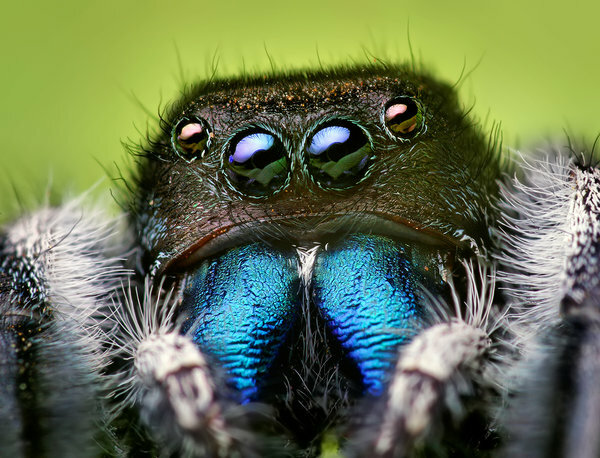 There are although a few exceptions such as the Himalayan Jumping Spider, which thrive at altitudes of up to 22,000 feet, able to survive on wind-borne insects. 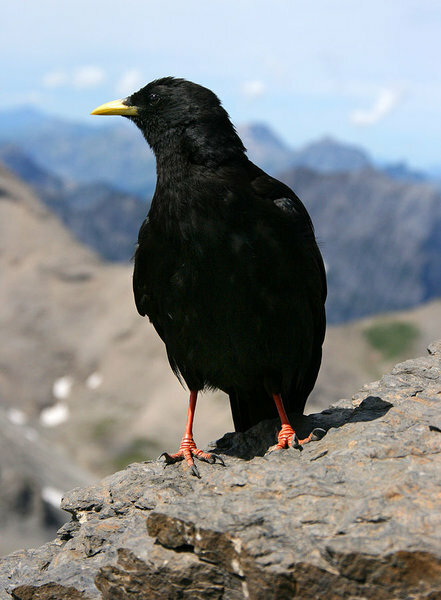 Also seen are Yellow-billed Choughs, a bird somewhat similar to a crow, spotted at 26,500 feet. 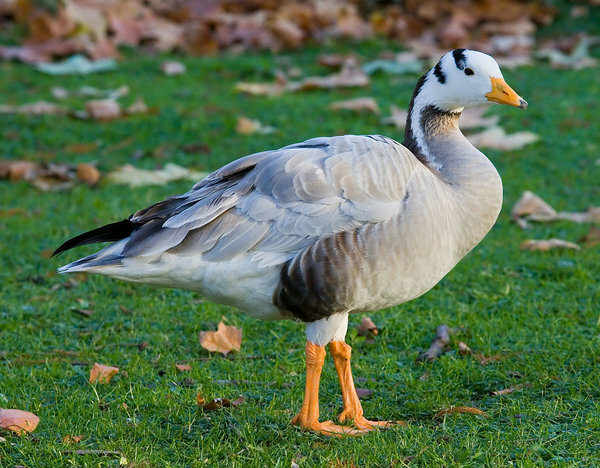 Bar-headed Geese, which cross the Himalayas during migrations. This is the Tibetan name for Mount Everest. Meaning: “Goddess Mother of Mountains” - An appropriate name for the highest mountain in the world. Interesting Fact: In 1715, the area was surveyed by the Chinese who included the mountain under their territory, and called it, “Mount Qomolangma,” in 1719. The Nepalese consider the mountain sacred and call it “Sagarmata”. When collision of the two plates occurred, the heavier rock was pushed back into the mantle of the earth, while the lighter sandstone and limestone, got pushed upwards. This rock formation rose above the Tethys Sea to form the Himalayas and Mount Everest as is known today. In simple terms can be said Mount Everest consists of marine limestone. Fossils of sea creatures on the mountain are common, even today. The Rongbuk Formation - Containing schist and gneiss at the base of the mountain. The North Col Formation – Consisting of marble, phyllite with muscovite and biotite, and semischist in the middle. The Qomolangma Formation – Found at the summit, consisting of layers of Ordovician-age limestone, recrystallized dolomite, siltstone, and laminae. As with all mountains, Mount Everest has its own tales to tell about the way man has pitted his forces against nature in an attempt to conquer her. Indeed, much has happened since the 1950s when some serious attempts to climb Mount Everest took place. In 1953, Mount Everest was officially considered as conquered after Sherpa Tenzing Norgay and Sir Edmund Hillary successfully reached the summit. Since then, Mount Everest continue to be the ultimate challenge, and has been the object of numerous world records broken. Reinhold Messner: Reached the summit without oxygen. Jordan Romero: The youngest person to climb Mount Everest. He was 13 years old. Junko Tabei: First woman to climb Mount Everest. Arunima “Sonu” Sinha: The first female amputee to climb Mount Everest. We cannot really consider the journey as a ‘hike’ by any stretch of imagination. It is a climb, and the mother of all climbs at that. Adverse weather, lack of oxygen, treacherous terrain and extreme cold beyond imagination, all gang up against climbers attempting to climb Mount Everest. Fitness Counts: You should be Physically Fit. Mountaineering Experience: Prior mountain climbing experience is a must, as well as professional training. Medical Fitness: You should be medically fit – no respiratory or other related health issues should exist. Have the Correct Gear: Requisite gear will be required – loads of it. Medical Aid / Life Insurance: Consider purchasing medical aid and/or life insurance before the climb. Due to the extreme climatic conditions are there no transit huts or refuges along the route to the summit. However, there are transit camps and particular places (http://adventure.howstuffworks.com/outdoor-activities/climbing/mount-everest4.htm) where climbers can take rest during ascent or descent. 1. Base Camp: The first point from where climbers make their preparations for the journey ahead. How to get to Base Camp: Base Camp is accessed by flying into Kathmandu, and from there, traveling to Lukla. From Lukla, the camp is reached by road. Duration to reach base camp: Since Base Camp is situated at 17,600 feet, the journey there also needs to be done gradually, which normally takes a couple of weeks. 2. Camp I: Is situated at 19,900 feet. Camp I is accessed by passing through the Khumbu Icefall, and can only be reached with the help of ropes and ladders. The approach is dangerous; extreme caution needs to be taken. Important to Note: As acclimatization is of prime importance from this time onwards, climbers traverse the Khumbu Icefall several times to get their bodies adjusted to the extreme conditions before proceeding further. 3. Camp II: Camp II is positioned at 21,300 feet. Important to Note: This valley is surprisingly hot due to receiving extreme sunlight with barely any wind. This poses a great difficulty for climbers, as they are exposed to intense heat at such a high altitude. How to get to Camp III: Upon moving from camp II, are climbers confronted with the Lhotse Face. A sheer wall of ice that needs to be climbed with ropes. On clearing Lhotse Face, is Camp III reached at an altitude of 24,500 feet. Important to Note: By now, the lack of oxygen saps out almost all energy within the body, with severe discomfort due to extreme cold conditions. Interesting Fact: Camp III is situated on a slope of more than 45°, where even walking can be risky! Interesting Fact: Camp IV(The Death zone), is the last resting point on the journey to the summit of Mount Everest. From this point onwards, sheer climbing skills and grit is what makes a climber succeed or fail in the trek to the summit. There are two major routes available for climbing Mount Everest. The first and most popular is the South Col Route (As described previously); the second being the North Col Route. The South Col Route: See previous section for full description of route. The North Col Route: This route is less-popular, athough favored by some who feel that it is less crowded, and in some ways easier than the South Col route. Great Couloir from North Col - Which bypasses the lower section of the north face. Hornbein Couloir - Approached from the west. Great Couloir - used by the Australians in 1984. West Ridge - with multiple lines through Central Rongbuk. North Northeast Ridge - "the Pinnacles Ridge." Training: You are about to embark on one of the most difficult, if not the most difficult, of all challenges in your life. There are several mountaineering institutes from around the world. Search the best ones in your area, and join a training program. Another important aspect is improving your fitness level through a rigorous fitness program. Prior Practical Experience: Prior mountain climbing experience for taking on Mount Everest is recommended. Most tour operators who arrange treks to the summit, only accept individual who have scaled at least one mountain at a minimum of 8,000 feet. Such mountains are known as “eight-thousanders” (https://en.wikipedia.org/wiki/Eight-thousander). Prior experience will ensure climbers have better practical skills before attempting Everest, and are acquainted with the difficulties and hazards of dangerous terrains and weather conditions. Mental fitness is just as important as physical fitness. The actual climb stretch climbers to the limit of your physical ability, after which they most often continue on with will power alone. However, sheer mental power will not get you there. Climbers need to be in peak physical condition. There are several means of toning up your physical condition. Climbers should consider a strict regimen of activities such as biking, running, swimming, weight lifting and hiking, as well as hitting the gym. A combination of two or three of these activities on a daily basis is recommended. Consider adding a bit of weight to your overall body mass in anticipation of weight-loss that are likely to occur. Choose a Suitable Tour Operator: There is an alarming number of tour operators offering trips to climb Mount Everest. Most of these companies make tall claims about their prior achievements and track records. Verify these claims first, as well as the track record of the operator. Some operators are experienced, and offer a great deal of support in not only procuring suitable equipment and clothing, but also with regards to assistance in clearing visas, permits and so on. Hire a company that provides maximum support, so they can take care of the finer details while you focus on the main objective of your trip – climbing the highest mountain peak in the world. Rip offs are common – beware. Finance Matters: Climbing Mount Everest is not a cheap affair. Consider sponsorship, which is another method many mountaineers make use of to help them cover their main expenses. There are companies that would like their name on the map by getting linked to a successful Mount Everest climber. The Top Legends About Mount Everest? Yeti or the abominable snowman is a legendary creature of the local Nepali folklore. Stories, thousands of years old, abound that this nocturnal and secretive human-like creature lives high up on the mountains. It is supposed to be over six feet tall and muscular, weighing between 200 and 400 pounds (90 and 180 kilograms) and is covered with white, grayish or reddish-brown hair. It produces a shrill cry or a whistling sound. According to the legends, this creature has been known to descend from the higher reaches, enter forests and villages, and kill yak for food. Several climbers, too, have sighted this creature, while climbing Mt. Everest. This creature was sighted by Hillary and Tenzing on their first ascent in 1953. It was also seen by Messner in 1986, who documented it in detail. A British climber, Don Whillans saw this creature on Mt. Annapurna. Its large footprints have also been photographed. But, does Yeti really exist? As of now, its existence remains unproven. Not only was Sir Edmund Hillary of New Zealand became the first to summit Mt. Everest in 1953, along with the Nepalese Sherpa, Tenzing Norgay, but he is also credited with conquering the North and the South Poles, making him the only person to have done all three. Phurba Tashi, a Sherpa called the ‘Everest Yak’, is credited with climbing the Mt. Everest an astonishing 21 times between 1999 and 2013, of which three climbs were accomplished in 2007 alone. He shares this feat with another local climber, Apa Sherpa. But, Phurba is the only one, up till now, to climb 38 peaks above 8,000 meters (26,000 feet). However, Phurba’s record pales in front of Ang Rita Sherpa’s feat. He is the only one to have summitted the peak ten times without supplemental oxygen. The first to do so was Reinhold Messner in 1978. Lhakpa Sherpa, a woman Sherpa belonging to Makalu, Nepal, holds the record for reaching the summit as many as seven times between 2000 and 2016. Only Melissa Arnot of the US comes close with six climbs. Much before the success of Hillary and Tenzing, the pair of George Mallory and Andrew ‘Sandy’ Irvine attempted the summit in 1924 from the only available north side approach through Tibet. Both died just 800 vertical feet from the summit. It is believed that they might have been the first ones to reach the summit. An expedition in 1999, especially put together to find this, found Mallory’s well-preserved body not far from Camp VI. What points towards their making it to the summit is that Mallory had intended to place a photograph of his wife, Ruth, on the peak, but when his clothing was searched no such photograph was found. Is it that he had placed the photograph on the summit and on his way back plunged to his death along with Irvine? Despite much research into the deaths of these two climbers, this mystery still remains unsolved. Let us know about your experience in the comments below. We would love to hear your story.